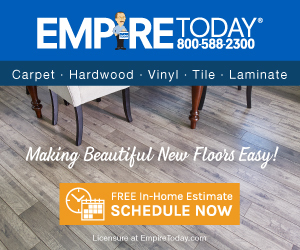 Empire Today - Empire Carpet Cancellation Advice!!! The day after the Empire Carpet Sales Person was at my home I cancelled the contract because I felt I didn't get a "deal" at their 60% off sale! Nearly a month later I called them to see where my deposit was. I was told they had no record of my cancellation and wanted to know who I called. I informed them I did exactly as their Cancellation Policy stated and a "T. Williams" signed for it... They made me stay on hold for 15 mins stating they could not call me back and I'd have to wait. When the Rep came back on the phone he stated they cancelled it even though they had no record of it. I was now told I'd receive my Deposit Back in 10 to 15 days which is 6 weeks later!! They don't even follow their own cancellation contract policy!! Bottom Line - SEND CANCELLATION OVER NIGHT RETURN RECEIPT - It's worth the $26.00 you'll pay!!! Review #177322 is a subjective opinion of Harley1.